The Texas Education Agency (TEA) announced its statewide public education accountability ratings. Although favorable, showing most school districts and charters fared well, these results were compiled using changed criteria and relying on less reported information. However, these results fall under the new accountability system in which campuses either receive a rating of “Met Standard” or “Improvement Required” under a pass-fail system. This year, 4,388 public school and/or charter campuses that “Met Standard” earned some type of distinction but only 153 schools earned all seven. Receiving a distinction means a campus ranks in the top 25 percent of schools based on student achievement and postsecondary (college and career ready) standards. The postsecondary component also includes students who show college readiness through completing and earning credit for at least two advanced/dual enrollment courses, or enrolling in career and technical education (CTE) courses as part of a four-year plan of student to take two or more CTE courses for three or more credits. The rating system itself is a portfolio of four areas that factor in student achievement (STAAR), student progress, closing performance gaps, and post-secondary readiness. Not all of the criteria counted this year. Low-performing campuses dropped from 733 to 610. Also, math test scores for grades 3-8 were omitted, which the TEA did to ease the transition. Not all the criteria is the same either. 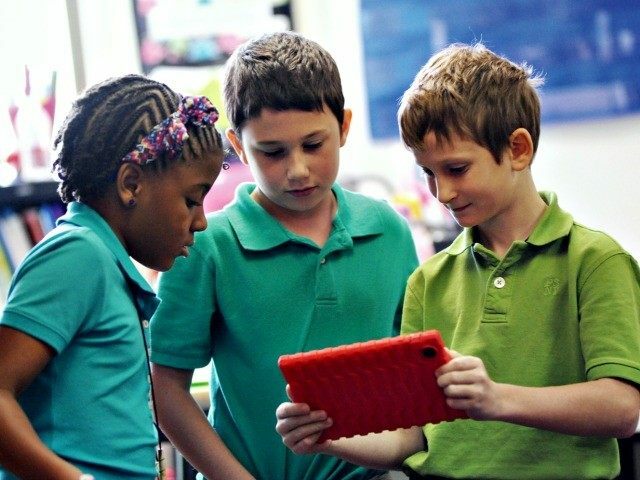 The new math standards under House Bill 5 are dramatically different and have received criticism for their similarity to Common Core, which Breitbart Texas reported. The Dallas Morning News pointed out that these changes in the ratings made it difficult to compare to previous year results. TEA spokeswoman DeEtta Culbertson told them that the exclusion of the math results probably did help at the elementary and middle-school levels, but she added that it’s hard to know. Besides math, the number of performance targets that schools had to meet to get a passing grade was reduced from four to three. This year’s target index for student achievement also was increased from 55 percent to 60 percent. The special education metrics STAAR Accommodate and the STAAR Alternative 2 were also omitted from this year’s results. Breitbart Texas reported that the Class of 2018 is the first group of Texas public school students who will graduate under new high school requirements based on the college and career/technical education criteria passed in 2013. The Class of 2014 were the last high school graduates whose rates were based on the 26 credit 4×4 diploma plan that meant students had to take four years of math, English/language arts, social studies, and sciences, Breitbart Texas reported. Student achievement was tested by the Texas Assessment of Knowledge and Skills (TAKS), which was retired. As of 2014-15, the barometer of student achievement was replaced with the State of Texas Assessments of Academic Readiness (STAAR) through HB 5. The number of end-of-course year-end tests administered was also reduced to five from 15. In 2014, TEA produced a short video to explain how this accountability worked with the college and career readiness roll-out. Last week, William also announced that Texas high school graduation rates hit “another all-time high for the state and marks the seventh consecutive year the overall rate has increased,” which Breitbart Texas reported. Ironically, those high school graduation ratings were based on the highest graduation requirements in Texas history.